This time I want to share with you my favorite clothing combination which consists of shorts and boots. As you all know, boots are mostly worn during winter time, while shorts are used in the summer season. We see lots of fashionistas around the globe who combine these two pieces together creating fabulous looks. This trend is famous among bloggers, models, and even celebrities. You can wear this look all year round, starting from hot summer to cold winter months (all you need is to add heavy tights or leggings underneath your lovely shorts). Of course, pairing shorts with boots is not always easy, this can be really tricky to do but want to know how to make it look awesome on you, then I am more than happy to show you a few tricks and ideas on wearing this trend correctly. All you need is to follow these tips and you can easily achieve this look. Read on to find out more. The best boots to wear with shorts are ankle-boots. Why? They look both great on short-legged and long-legged women. I love to see ladies who appear on the streets wearing casual denim cut-offs, suede ankle boots, and a light sweater or cardigan. If you are going to attend a night party, then why don’t you try on denim separates (jean shirt tucked into denim shorts) completed with stylish heeled ankle-boots. If you want to achieve a modern bright look, then I recommend pairing wedge lace-up black leather ankle-boots with pastel neon green shorts and cool cut-out black color tank top. Always remember one simple rule: shorter your shorts are, the lower your boots heels should be. If you want to look ultra chic and elegant, then you should pair ankle-boots with soft material shorts made of tweed, sequins, lace or velvet. If you want to wear shorts during winter times, then I recommend to try on one of my favorite looks that consist of an exaggerated sweater, shorts, tights and ankle boots. Enough with ankle-boots. 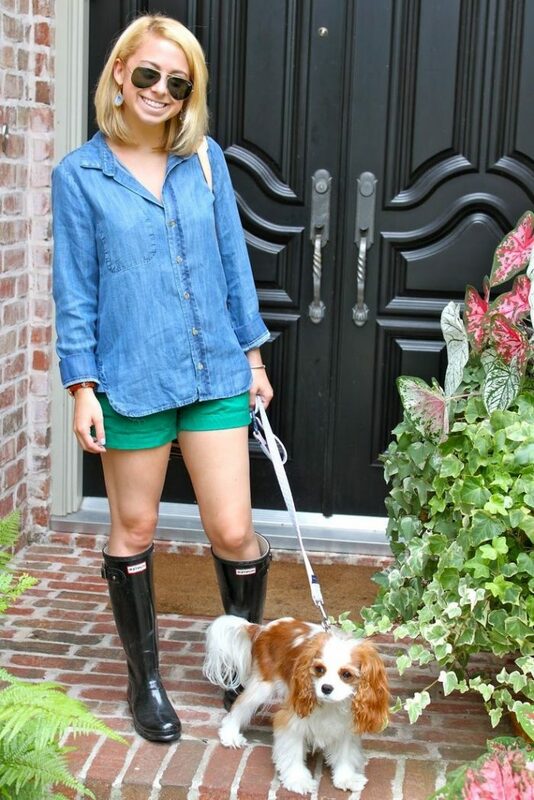 If you want to show-off your edgy and tough spirit, then how about wearing leather shorts with a pair of Hunter boots. Complete this outfit with a rough looking military jacket. Of course, wearing boots with shorts can be quite tricky, but as long as you see through these images, you can create a perfect outfit that will make you look outstanding. Be sure, you gonna look at your best. Do You have any thoughts about How to Wear Boots and Shorts For Women? Here are Fashion Tips pictures and trendy women’s outfits which are in style in 2019: Ankle Boots, Best Leather Shorts For Women, Bright Shorts, Denim Cut Offs, Heeled Boots, Hunter Boots, Must Have Fashion Trends For Women, Shorts With Boots, Street Style Women's Fashion And Inspiration, Tweed Shorts and tips on how to wear them on the streets.